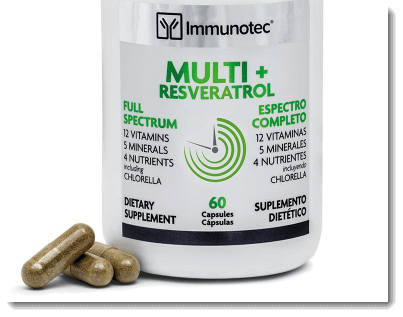 Can You Really Make Money With Immunotec? I have no doubt that people make money with Immunotec. The company’s products are decent enough and they would sell. Even so, you’re stuck with having to buy the items first and the compensation plan is no picnic either. I suggest sticking with affiliate marketing instead. This gives you the chance to sell the same types of products, without all the complexity and confusion that comes with an MLM. 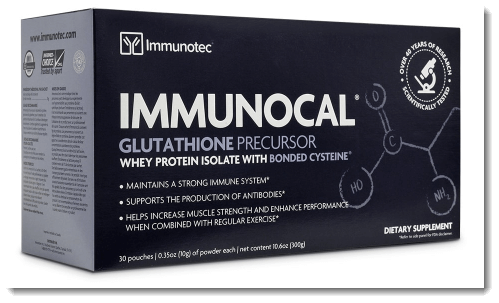 What Products Does Immunotec Sell? Immunotec uses the tagline ‘the science of living better’, which is a pretty accurate description. The company offers a variety of products designed to improve health. Their flagship product seems to be Immunocal. This is a supplement designed to boost the production of glutathione. The proposed benefits include improving athletic performance and the supplement has been studied independently (which is relatively unusual). There are also various other products that focus on health. This includes various supplements, weight management products, personal care and skincare items, along with related accessories. Some items are also sold in sets, such as the MiForm Transformation Kit (which costs around $414 retail). The set is just a combination of most the products that have something to do with health and weight loss. As for whether the products work, most probably do to some degree. For example, protein shakes often help people lose weight by making it easier to skip meals. Likewise, fiber supplements sometimes mean people feel fuller and other supplements help combat nutritional deficiencies. But, none of the products are especially unusual. You’ll see the same options other companies as well, both online and offline. The Immuotec doesn’t make many bold claims about the benefits, which is always an advantage. Instead, most of their marketing simply focuses on what is included in the product, like the example below. The other thing to consider is pricing. Most of the products aren’t cheap, especially not for retail customers. For example, Immunocal costs $104 retail and that contains 30 servings. Other items are less expensive but you’re still looking at $30 or more for 30 servings. Even so, the prices aren’t horrible and many companies have a similar pricing structure. This means that customers will often be prepared to pay the amounts. That’s especially true for the basic supplements. Higher prices do also mean more income per sale, so the pattern isn’t all bad. What I like about Immunotec is their style. The products aren’t exactly unique but both the products and the company appear somewhat clinical and science-based. That’s a far cry from many other MLMs, who tend to focus on hype and excessive marketing. The website even offers some scientific support and links to studies. 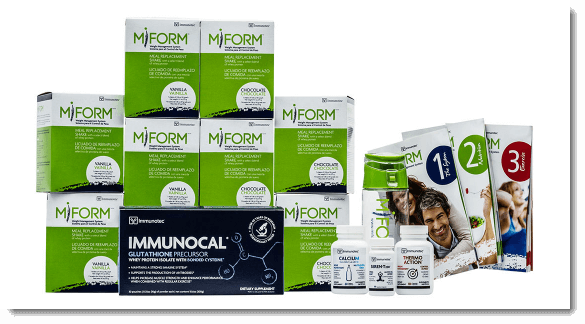 This is mostly just for one product, their Immunocal and the ingredient glutathione. Even so, the evidence is more than I’ve seen from many other sites. There is transparency in other areas too. For example, the website offers details about all of the price points for products. Likewise, there is information about the potential benefits from individual ingredients. Some of those will still be hype rather than science. But, the overall style does end up feeling legitimate and trustworthy. From a sales perspective, this idea is powerful. It helps the company to stand out and gives you a selling point to focus on. Is Immunotec A Good Business Opportunity? Immunotec may not be the most revolutionary company out there these days but there would still be demand for the products. If nothing else, wellness is a booming industry and customers are everywhere. As for making money, the first step is what you would expect, simply selling products. With Immunotec, you buy them at a consultant’s discount and then resell them at retail price. 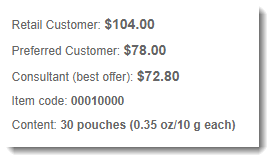 For example, the Immunocal supplement has a consultant price of $72.80 and a retail price of $104.00. That gives you a commission of $31.20. The rate is fairly decent, especially if you can make consistent sales. Even so, the style has limitations – and it’s one I personally hate. Because you have to buy the items first, you have to try and guess at what is likely to sell. This creates considerable hassle and risk. There’s also a chance that you’ll end up stuck with product that you can’t sell. Thankfully, there are some ways around this but they each come with their own complexities. One interesting aspect of Immunotec is their preferred customer scheme. People who sign up this way get a discount on purchases and they get their product directly from the company (not through you). The image below shows the various pricing options for Immunocal and preferred customer discount is dramatic. Preferred customers get this price by signing up to autoship. This means that automatically receive products each month and there are also various bonuses, such as free products. From a sales perspective, the idea is powerful. Customers do get a significant discount and bonuses, which should increase interest. Plus, they’re signed up for an ongoing program. That may make them more likely to stick with it and means you’re getting a consistent commission for little work. Even so, there are limitations. For one thing, the significant discount will impact how much you earn as well. The company states that you earn ‘wholesale profit’ but doesn’t define what that means. If this is the difference between your price and theirs, then you’re not earning all that much (less than $10 for the basic Immunocal supplement). The autoship will count toward your bonuses with the company and your volume, so there are some benefits. But, the approach means that the best value for the customer isn’t necessarily the best for you. The focus of Immunotec is on selling physical products in person. Nevertheless, you can promote them online as well. Immunotec provides members with a replicated website that can be used for sales. You can also earn from customers who order directly through Immunotec, as long as they use your consultant ID in the process. In both cases, you earn ‘retail profit’. The company doesn’t define the term but it’s the same one used to describe your income from direct sales. That suggests you earn the same commission either way. This style lets you get around buying the products first and reselling them. There are also other advantages. Selling online means you can promote to a wider audience, including people in other parts of the country. You could get extra clients that way. For example, you might advertise on social media or build your own website to drive traffic to your Immunotec one. That raises a question though – is it worth it? Immunotec is focused on physical sales first and foremost. That means you would have to make some sales in person as well. There are also monthly purchase requirements. So, if you avoided the in-person side of things, you could easily end up losing money. If the online aspect appeals to you, why not take it one step further? You could skip Immunotec entirely and their replicated site. Instead, you might focus on your own site instead, using affiliate programs to drive traffic. There are many advantages to that style, including fewer requirements and less complexity. But, one of my favorite parts is the products. Affiliate marketing allows you to products from many different companies and brands at the same time. This means you can choose ones that are competitive and that are likely to sell. Doing so is always more powerful than being stuck with one product line. Besides, being reliant on a single company is fairly risky. There is always the chance that the company will go under (like Ava Anderson Non Toxic) or that sales will dramatically decline. As with similar companies, sales is just one way to make money. The largest income potential comes from recruiting others and building a team. This gives you access to various bonuses, including commissions from the sales of your team members. At face value, this sounds like an amazing idea. You’re basically making passive income, as you’re earning from sales you had no hand it. If you get far enough in the company, the income potential is very high. For example, the higher ranks allow you to earn income from multiple generations below you. This includes people you recruit, people they recruit and others down the line. In the case of Immunotec, you can earn from up to 8 generations. Of course, the income you earn isn’t truly passive at all. Recruitment and teambuilding are time-consuming processes and they can be difficult. Think about it for a moment. Do you know many people with the time, money and energy to sell products and recruit others? Most people would have their own lives, jobs and priorities. If you do manage to get people involved, you’ll probably find that some are decent and are dedicated, while others simply aren’t. In truth, the process is hit and miss. You can’t force people to be interested or to be good at sales or recruitment. Instead, you have to do the best you can. The more people you get involved, the greater the chance that you’ll build a good team in time. There is also a rank system in place. This is where MLMs start to get challenging. For Immunotec, this system starts at the Associate level and goes through to Platinum (a total of 7 ranks). Each rank offers you more commissions and bonuses from your team – along with extra requirements. For example, you need to hit monthly sales targets and these increase quickly. As you can see below, you also need a certain structure within your team. Here, TOV refers to the total volume sold across your team. Immunotec doesn’t state how the TOV translates into money spent, but 6,000 TOV is likely to equal at least $6,000 in sales and probably more. Regardless of the numbers, you can see that the requirements quickly increase. They’re all monthly requirements too, so you have to stay successful consistently. If the team building was a small component of Immunotec, it might be worth it. You could even skip this aspect altogether and just make money from sales. If you just want a little money, that’s a viable idea. But, the overall design favors teams. Making decent income from sales alone is simply unrealistic and you’d probably find that people get bored of the products over time. This means you really do need to get involved with the teams. And, with so much complexity involved, the whole process gets difficult fast. There are monthly maintenance requirements. At the lowest level, you need to hit 180 PV each month. The next rank requires 400 PV and the later ones require 600 PV. The PV refers to the volume of products you buy yourself. That means you’d have to spend at least $180 a month, just to stay active. 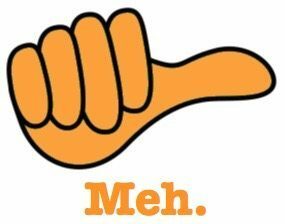 Because you resell those products, you’re not operating at a complete loss. Still, it’s easy to see how you could lose money. All you’d need would be a bad few months. At the end of the day, is it worth it? There are other ways to make money, ones that give you more income potential and are much less confusing. If you have the connections and skills to build a large team, then Immunotec may offer some benefits. The company does have appealing products, which is more than many competing options. Even so, you’re facing a complicated compensation plan and team building is no easy feat.